Oooh! I love this one! LOve all your creations!!! Your picture for the blog may i use that idea? 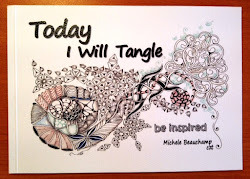 And the rainbow of tangles the orange flower, how do you make that design? Krystalee, the orange flower is from Sandy Bartholomew's 'Totally Tangled' book. It is called buttercup and is quite easy. Draw a grid then a small circle and 4 petals. Now colour around the petals. 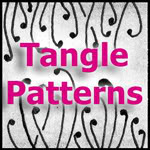 This tangle is one of my favourites for fitting in a small or large area and looks good when a bit wobbly!!! 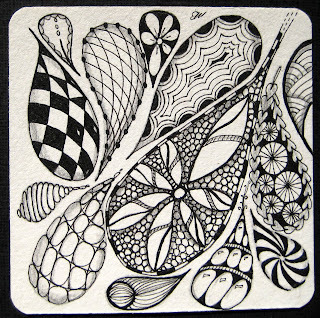 Oh and yes Krystalee you can use any ideas from my blog....Thats the joy of zentangle...the sharing! 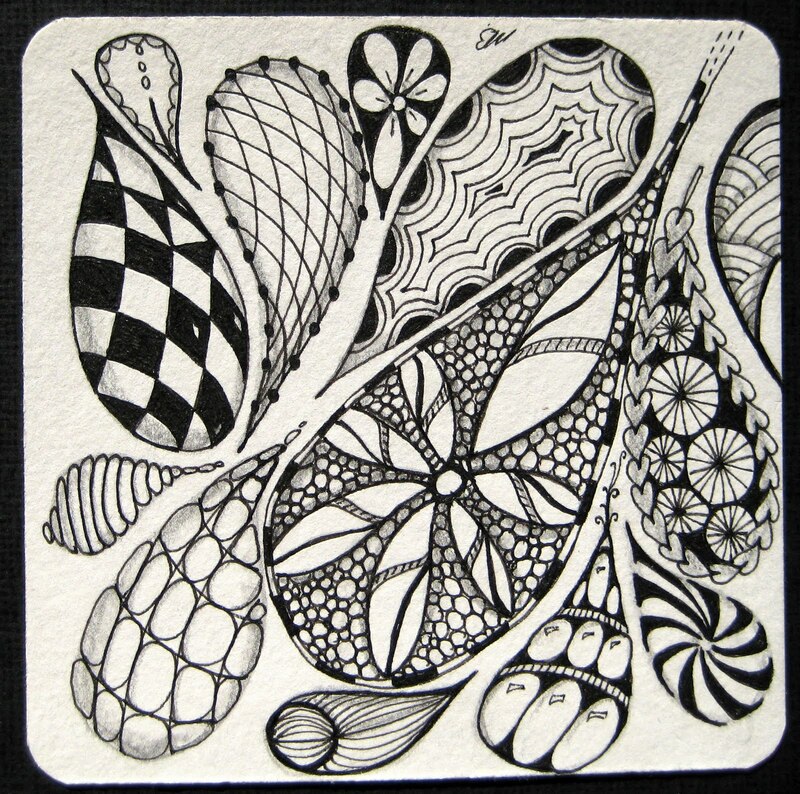 Happy tangling. how do you make patterns official?